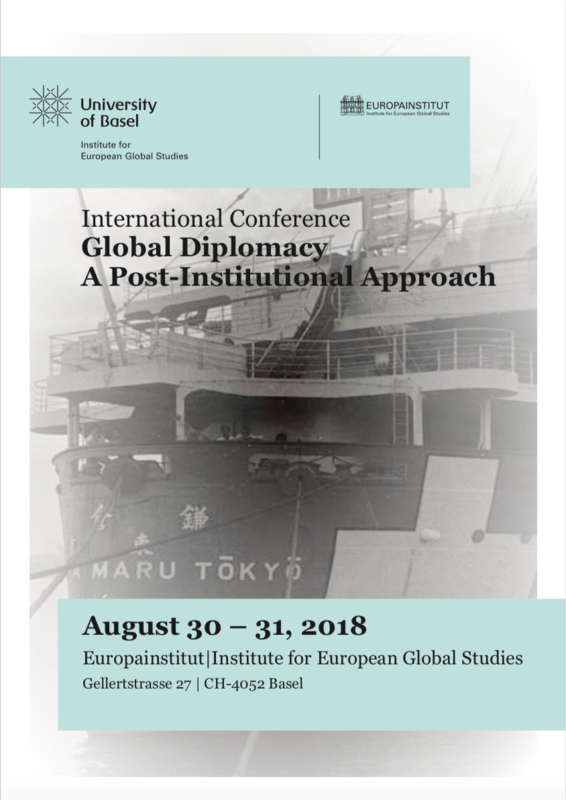 The international conference «Global Diplomacy – A Post-Institutional Approach», held at the Institute for European Global Studies in Basel from 30–31 August 2018, discusses new and interdisciplinary perspectives of diplomatic research. It brings together historians as well as researchers from the social sciences and related disciplines with an interest in the history of diplomacy, transnational law and global governance. A main objective of the conference is to challenge the former Eurocentric and state-focused diplomatic history in favor of a global history of diplomacy which takes into account border-crossing entanglements and transnational networks. The conference aims at contributing to the ongoing debate on the transformation of modern diplomacy from an instrument of arcane foreign policy to an intermediary between foreign policy and transnational and transboundary networks. As mentioned in recent research debates (e.g. Oxford Handbook of Modern Diplomacy 2013), the merging of diplomacy, global governance, international relations and international law stands at the core of a paradigmatic shift which overcomes institutional limitations by specifying collaborative activities and multifunctional actors in international politics on a global scale. The conference addresses the theoretical and methodological challenges which result from the tensions between an institutional understanding of foreign relations as activities of a sovereign state and the obvious impact of informal activities shaping politics and public spheres as ‹civil diplomacy› not investigated so far. The conference has a strong interest in methodological debates, asking to what extent the history of institutions is useful for documenting the limits of normative orders and rules. Following this perspective, the Swiss case might offer a starting point for similar cases where global expertise oversteps formal limitations in international politics. 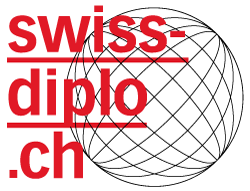 The conference consists of four panels, two roundtable discussions and a digital humanities session with the presentation of the database Swiss-Diplo (see conference program). The participants of the event are affiliated with leading universities around the globe, e.g. Waseda University Tokyo, Columbia University, University of Oxford and the ANU Canberra. Furthermore, experts of Switzerland’s major research institutions will be present at the conference. Therefore, it provides unique opportunities for international academic exchange and cooperation. The conference is organized in the course of the research project «A Global History of Swiss Diplomacy» (www.swiss-diplo.ch), a cooperation between the Institute for European Global Studies of the University of Basel (www.europa.unibas.ch) and the research center Diplomatic Documents of Switzerland (www.dodis.ch). The conference is supported by the Swiss National Science Foundation (SNSF) and the Freiwillige Akademische Gesellschaft Basel (FAG).